As typewriters went, the FightingNation Retro came. It's unique design paired with mechanical keys make it something special. 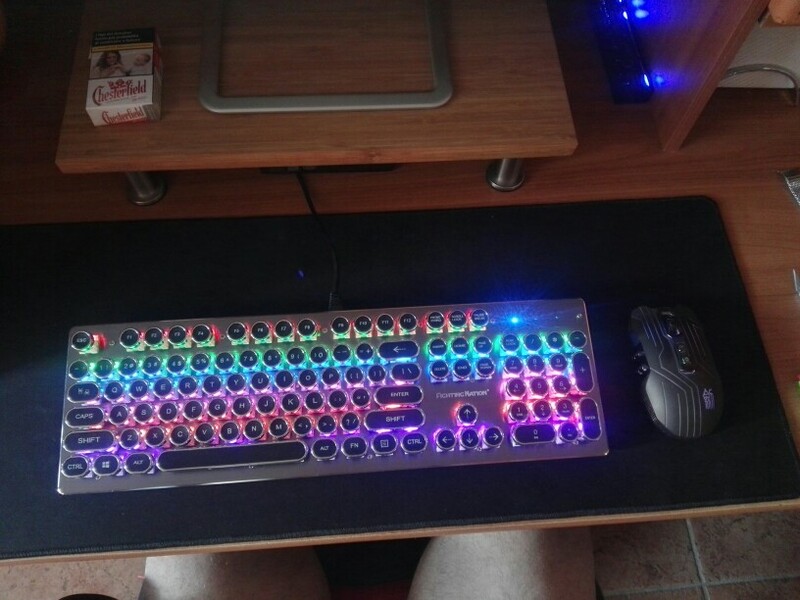 All keys are anti-ghosting with RGB backlight so you'll never miss a keystroke. The keys aren't very responsive. I do like the LED lighting. Could do a bit better on the documentation. It's just ok. 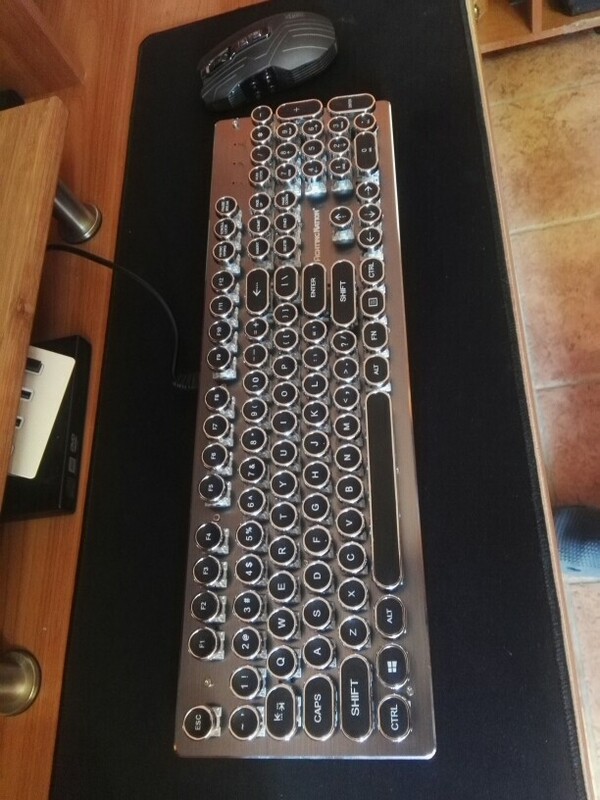 The keyboard still hasn't arrived, so I don't know why I'm being asked to give a review on it. Are you not aware that it hasn't arrived yet? I'm not complaining, it's only been 14 days and this is an international order, so it's natural that it takes this long. But you should confirm that I have it before sending this email no? Anyway, last bit of information, the package tracker (17track) that is tracking my order hasn't updated the order status since SEPTEMBER 30TH, what is that about? Очень шумная клава. Огорчило что наклейки с русскоязычной раскладкой не круглые, а прямоугольные. Своих денег явно не стоит. В целом прикольная клавиатура.